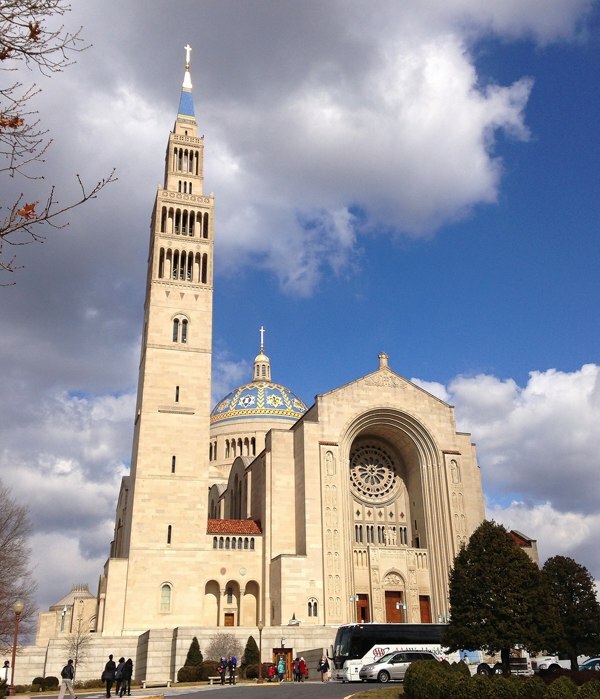 The Basilica of the National Shrine of the Immaculate Conception is the largest Roman Catholic church in North America and one of the ten largest churches in the world. It was built between 1920 and 1961. 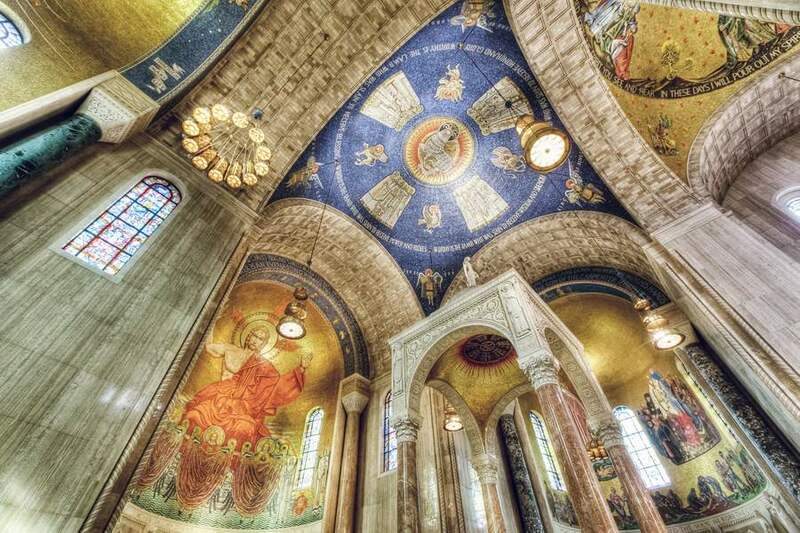 Its neo-Byzantine dome, which is only 7 feet smaller than the dome of the U.S. Capitol, dominates the skyline of Northeast Washington, DC, and its place in our nation’s capital makes it America’s Catholic Church. The Basilica’s bell tower was inspired by St. Mark’s Basilica in Venice. Inside the Basilica is an upper church with a mosaic-tiled ceiling and a baldacchino (or canopy) over the altar and a lower church (or crypt) with several chapels. America’s many-varied Catholic peoples, cultures and traditions are reflected in the Basilica’s more than 70 chapels and oratories. Below is a picture of the Chapel of Our Lady of Bistrica. 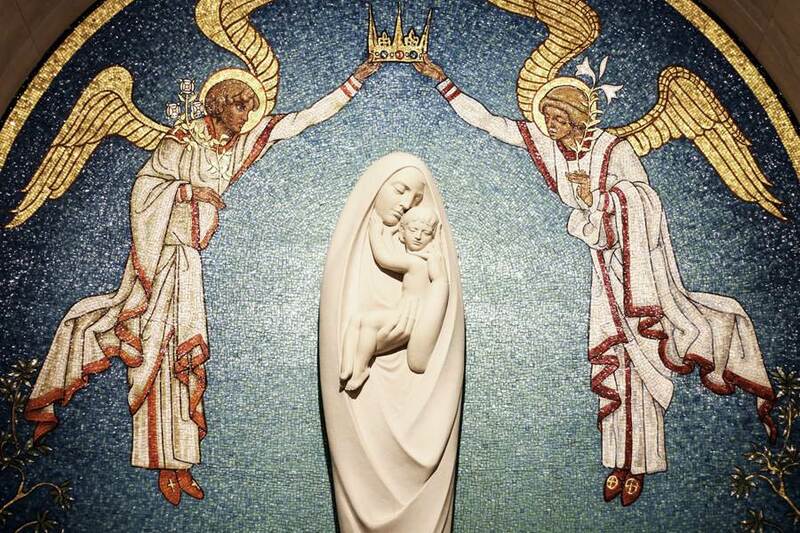 The focal point of this chapel is the statue Maria Bistrica, Queen of Croatia, holding the Christ Child, which was sculpted by Joseph Turkaly in Vermont marble. 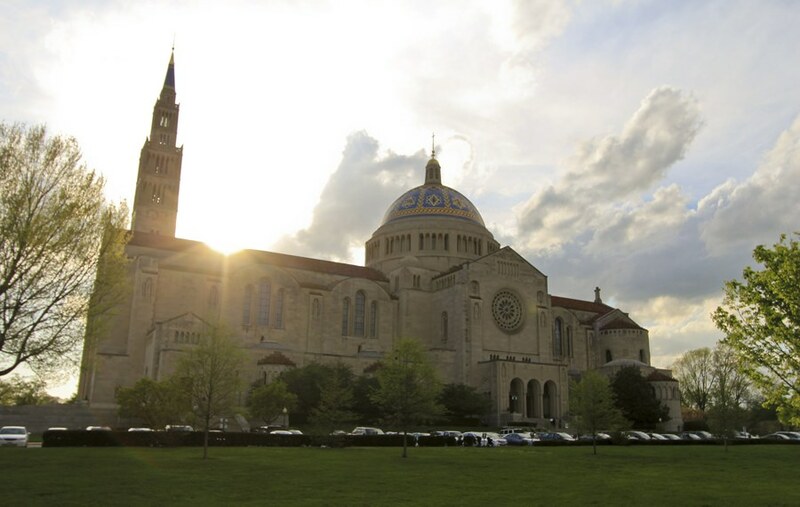 The Basilica also houses the largest collection of contemporary ecclesiastical art on earth, which is seen by the nearly one million people annually who visit the Basilica.